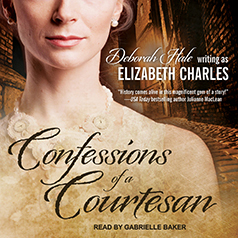 Confessions of a Courtesan is a historical novel based on the improbable but true rags to riches story that culminated in the greatest romance of the Georgian era. Contains mature themes. From the harsh streets of eighteenth century London, Lizzy Cane rose to become the most successful and sought-after courtesan in England! Mistress of earls, dukes, and even the young Prince of Wales, she lived an exciting, luxurious life that was not without its perils. A single misstep could spell disaster. Then, at the height of her career, she risked everything she had struggled to gain by breaking the courtesan's cardinal rule . . . never fall in love!